Meaningful Volunteer in conjunction with The Good Shepherd Daycare centre is pleased to announce the launch of a new program in Uganda called Preschool Partners. Preschool Partners aims to match preschools in Canada and elsewhere with preschools in developing countries. Initially the Good Shepherd Daycare centre will partner a soon-to-be-created daycare that will take place in Meaningful Volunteer's recently completed solar-powered school in Uganda. The school was built as a memorial for Andy Manley who died tragically in a house explosion. "The new Preschool Partners program is perfect as it allows us to make full use of the school throughout the day as well as giving children a critical boost before they start their schooling. "From the census that we conducted, we learnt that practically no child under the age of 9 could even read a single letter. We hope that Preschool Partners helps to solve this problem". 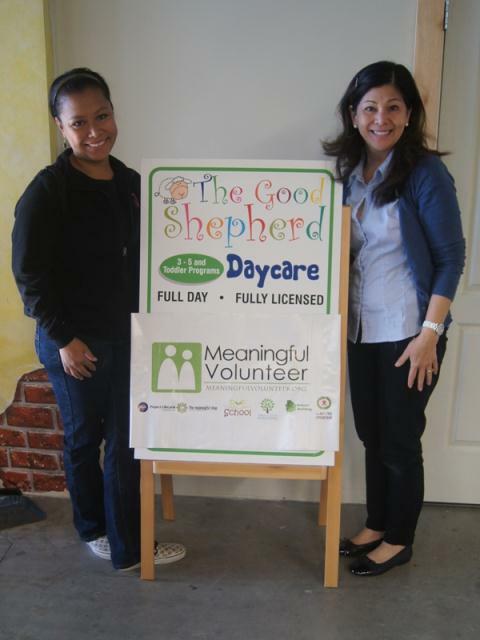 Preschool partners is the brainchild of Megin Alvarez - cofounder of Meaningful Volunteer, and Joey Albert. Joey Albert is a world renowned recording artist who made a name for herself when she won the Dream Girl Filipina contest in the Philippines. Since then she has released over twenty albums to much critical success. Joey Albert is also the director of the Good Shepherd Daycare centre. The Good Shepherd Daycare centre will be sharing its resources and curriculum with the daycare in Uganda. Certain changes will be made to make it suitable for Uganda. International volunteers will have the opportunity to teach in the classes in Uganda under the supervision of Esther Nabukonda - Meaningful Volunteer's district manager. Further announcements about this program will be made through this site.